Scotland had become an ICC Associate Member in 1994. After breaking off from the England Cricket Team in 1992, they qualified for their first-ever ICC Cricket World Cup in 1999. 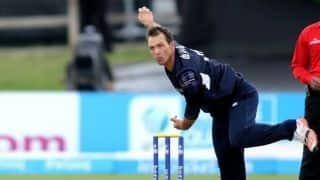 In 2004, Scotland participated in the inaugural ICC Intercontinental Cup. They participated in the ICC Trophy for the first time in 1997 and finished third. 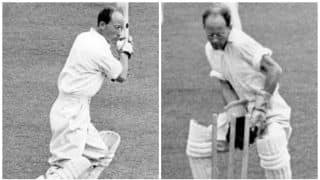 They went on to qualify for the 1999 World Cup but lost all their games in the tournament despite the heroic efforts of Gavin Hamilton. 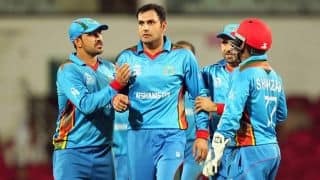 After finishing fourth in the 2001 ICC Trophy they went on to win the 2005 tournament, beating arch-rivals Ireland in the final. In the year 2004, Scotland confirmed themselves as one of the leading associate nations by winning the inaugural Intercontinental Cup. They also made it to the 2011 World Cup; one can expect bigger things from them in 2015. 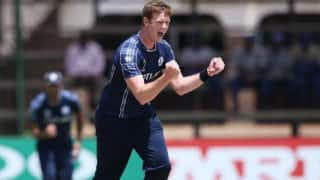 Born in South Africa, de Lange played played 21 international matches for Scotland. The league consists of 33 matches across all three countries that include semi-finals and a final and each team will play in the round-robin format. 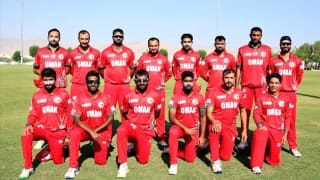 Nadeem and Nawaz made fifties as Oman posted 248/8, before the bowlers - led by Badal Singh (3/25) bowled out Scotland for 155. 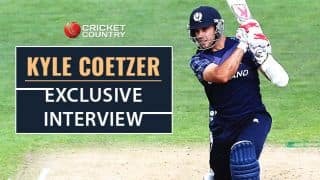 Scotland skipper Kyle Coetzer said that his team continues its march to gain a Full-Member status following their dominating win over Oman. How many teams should ideally play in a World Cup? How can Test-playing Nations aid Associate Nations? 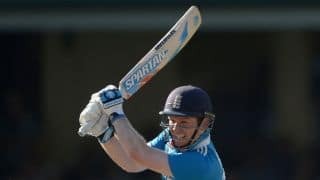 England started the chase well with Jonny Bairstow (105) bringing up his third consecutive century. 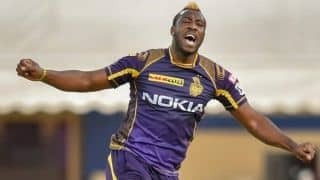 Video: Biggest six of ICC Cricket World Cup 2015? 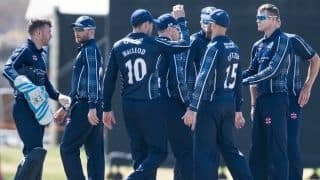 Australia overpowered Scotland by seven wickets in Hobart on Saturday. Moeen Ali and Ian Bell put on 172 runs for the opening wicket. 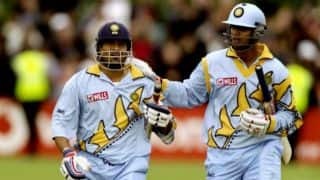 India's jersey from the 1999 World Cup makes it to second spot on the list.